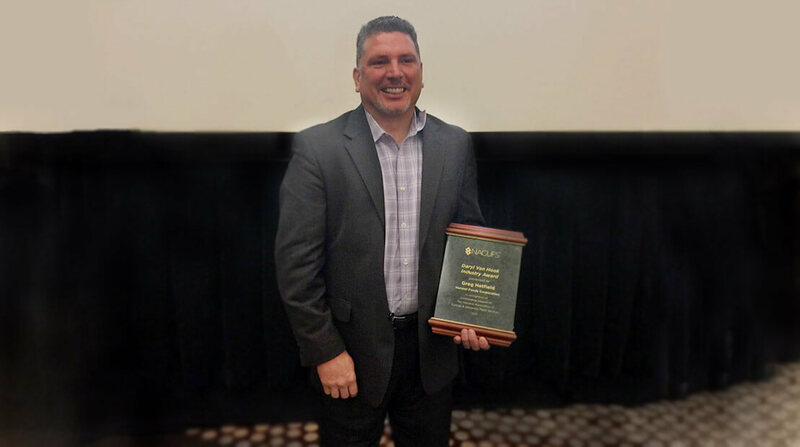 Greg Hetfield, national sales manager for colleges and universities, foodservice, was recently awarded the Daryl Van Hook Industry Award. This award is presented annually to a foodservice industry member based on outstanding support to the National Association of College and University Food Services (NACUFS). Industry Advisory Council involvement and committee service with NACUFS. In order to be eligible, corporate nominees must have a minimum of five years of active NACUFS involvement on the national level, a minimum of five years of active NACUFS involvement on the national level as a representative of one of more industry members, and must be employed by a current industry member company. The NACUFS was founded in 1958 and works to support the college and university foodservice market by providing members with programs and resources including benchmarking, best practices, educational programming and professional networking.